Today, it’s the final opportunity for the NASCAR teams to tune on their machines before the championship race at Homestead-Miami Speedway. View full 2018 Homestead final practice and practice two results from today in Homestead, Florida. Following practice, the Monster Energy NASCAR Cup Series will take the green flag on Sunday afternoon. 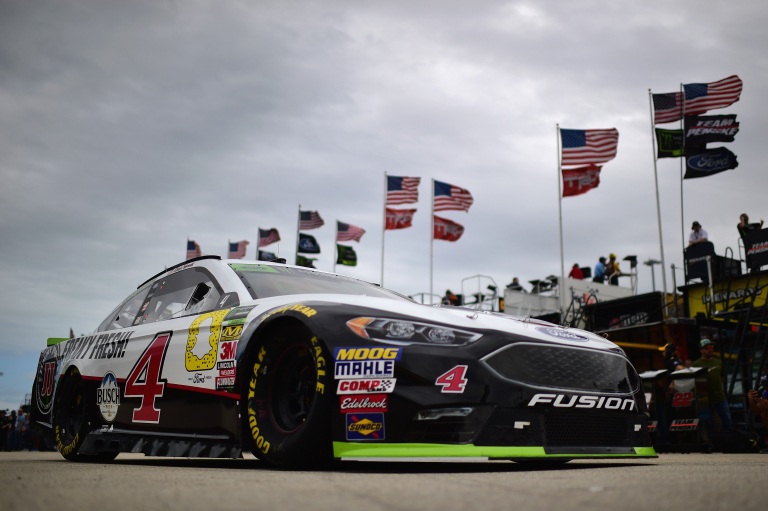 The Ford EcoBoost 400 will conclude the 2018 NASCAR season. Kyle Busch, Kevin Harvick, Martin Truex Jr and Joey Logano. Joey Logano leads practice two in all categories. He’s quickest in best lap and 10 lap average. Both Kyle Busch and Kevin Harvick set outside the top 20. However, each of those drivers are working on long runs. Harvick isn’t quick in 10-lap averages either. However, after lap 15, his car becomes significantly quicker. Harvick is working on really long runs. He turned his fastest 10-lap run between laps 13-22. Everyone else in the top 10 averages set 1-10 as their quickest 10 lap run. The most interesting part is that Harvick has been glued to the bottom. Homestead-Miami Speedway is typically a track where drivers run right against the wall for the duration of the race. Harvick is trying something totally different, he’s been down there all weekend. 5 minutes into practice, Kyle Busch and Martin truex Jr have found each other on the race track. The two championship contenders have found each other on track. Busch is on scuffed tires, Truex is on new tires. Truex is trying to get by, he can’t. The best part, Busch isn’t waving him by. They’re racing in the final round of practice. Truex fails to pass him. Advantage, Kyle Busch. Kyle Busch has gotten into the wall in the closing minutes of final practice. The entire right side has light damage. Joey Logano leads all categories. He’s quickest on the track, 5 lap, 10 lap and 20 lap runs. 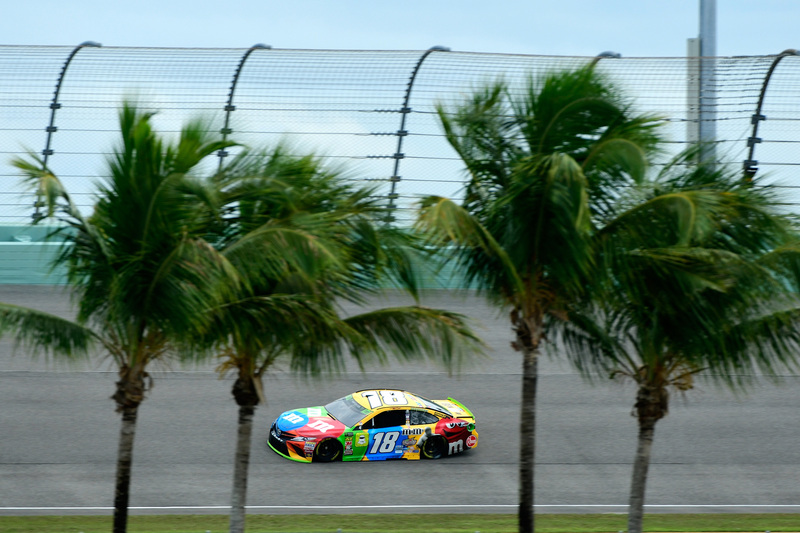 View Homestead practice results from practice two as well as final practice. Homestead 10 lap averages have been posted from each session as well. Denny Hamlin grabbed the pole at Homestead; Will he leave the first pit stall for his teammate?